The Carolina Jessamine is a vine that is native to North Carolina and the coastal plains of Carolina. 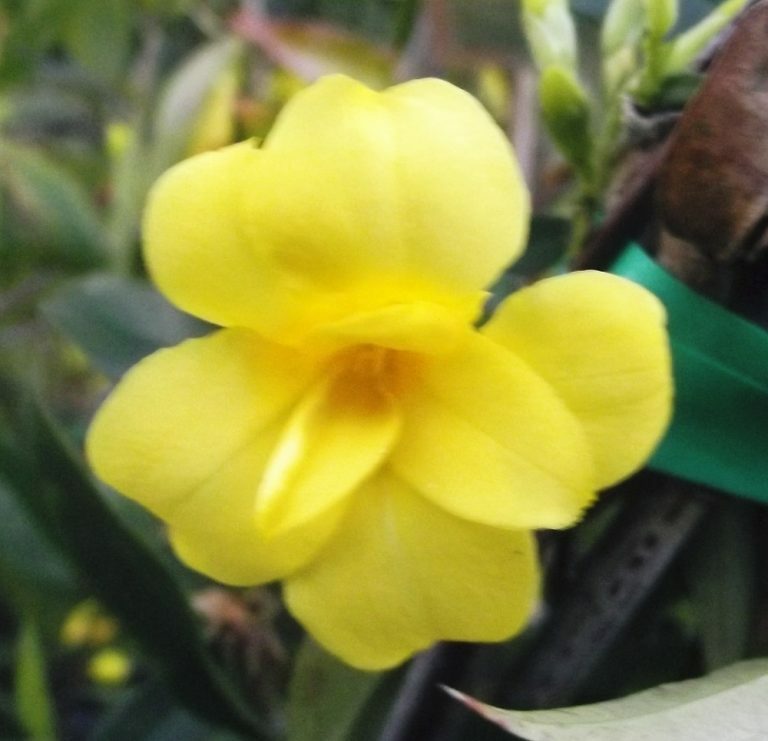 The flowers are golden yellow and tubular trumpet shaped and has a double form of flower and have only a minute fragrance. It flowers from winter to mid spring in profusion and again in summer and is best suited to a sunny aspect but will adapt to some dappled shade. Gelsemium flore plena is evergreen and is fast growing and grows to around 4 metres x 3 metres.